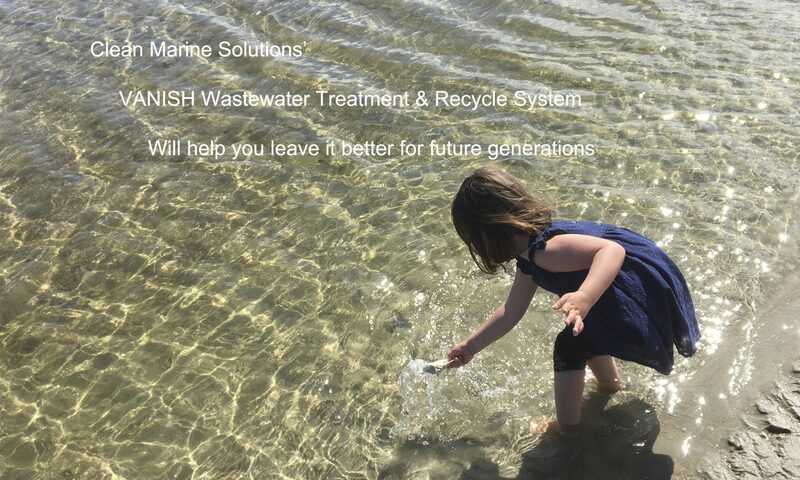 Clean Marine Solutions manufactures VANISH Wastewater Treatment and Recycling Systems. VANISH Systems uniquely combine state-of-the-art electronic treatment process controls with a chemical treatment process that was first introduced in the United State in 1880. VANISH systems clarify wastewater using simple flocculation chemistry. Flocculation continues to be a fundamental process used in municipal and industrial wastewater treatment plants the world over. Clean Marine Solutions has successfully tweaked the flocculation process to meet the needs of smaller wastewater generators..
A study by the North Carolina Division of Water Quality found that the average boat-wash wastewater contains 69,000 times the discharge standard for copper Clean Water Act. Clean water makes for easy permitting. We would be honored to be your environmental compliance partner.